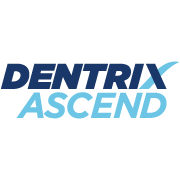 Dentrix Ascend is a cloud-based dental practice management software that provides users with online solutions to effectively manage their clinical and front office operations. 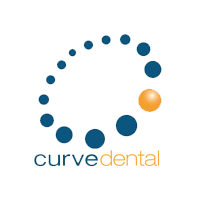 Its features include appointment scheduling, insurance plan tracking, patient account management, treatment planning, and more. In this article, we cover user reviews. Ready to try Dentrix Ascend? Request a demo. 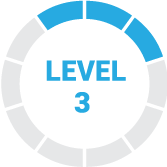 Users who gave Dentrix Ascend a positive review like that it is cloud-based, as this allows them to access patient records and files from anywhere. Several others commented that they love its multi-location support, while some commended the customer team for their responsiveness and good service. One user who left a positive review of Dentrix Ascend on Capterra said that its cloud-based platform enables him to easily access patient records from anywhere. He added that he likes that it allows him to help patients with dental treatment queries even if he is outside of the office. Users who gave Dentrix Ascend a negative review said that some of its features are not robust and lacks customization options. They also complained about experiencing system glitches and that its subscription rate is very expensive. 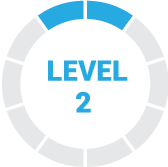 One user who left a negative review of Dentrix Ascend on G2 Crowd commented that its monthly pricing is a little steep for a small group of dental practices. He also said that it still has several bugs that need to be fixed, such as tracking appointment confirmations and extracting reports. 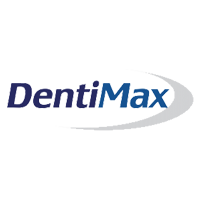 Dentrix Ascend does not publish its pricing on its website and is available only upon request. However, according to a third-party site, it costs $500/month, and new users are charged with one-time enrollment and database conversion fees of $995 and $750, respectively. Ready to try out Dentrix Ascend? Request a demo. Which browsers does Dentrix Ascend work on? Dentrix Ascend works only on Google Chrome for computer units and on Safari for iPad. What if a multisite dental practice requires more login IDs at one site and less at another? Login IDs and data storage are pooled for dental practices with multiple clinic locations. It can be used at any dental clinic, regardless of location. Interested users may request for more information by contacting Dentrix Ascend’s sales team. Not sure if Dentrix Ascend is the right fit for you? Read our reviews of all top dental software providers or check out one of these three Dentrix Ascend competitors. Software is effective and features are fairly easy to use. Customer support is helpful. There are no major shortcomings of the company, however, the price was expensive for our office. I wish I had done more exploration of alternatives before using Dentrix. There are so many dental practice management software options. This is an interesting application, has a base in which highlights a great design and a very dynamic and fascinating interface, as well as being aesthetic and attractive to the consumer, like its range of tools, which is very complete and easy of using. However, it has some problems such as the unfortunate quality of the technical support of the App, also the space it occupies in the memory of any device, and finally the sometimes low performance due to regular optimization. 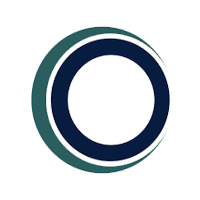 We are very pleased with the platform, the most serious error we could find is the fact that technical support does not work as it should, the rest are minor details, which makes this application something quite successful and with potential. This application is very incredible since it has a very varied range of tools, it also has an aesthetic interface, effective and easy to use by any client, as well as having bright and dynamic colors. However, it has a problem, since it has a grotesque performance due to its poor optimization, in addition to requiring a lot of the device where it is installed, also requiring a lot of memory of the device in which it is installed. We are delighted with the application, we look forward to the updates that compensate for the errors, how their demands on the device and its poor performance, but that does not completely cover the positive things that this incredible platform has. It has good support and good initial training. Your customer service is very good, any update is easy to take care of and patient programming is very easy to do. I would like to see improvements in the programming view and accounting breakdowns and add electronic health history forms. In general, I am satisfied with the program and the support. It fits the way we handle our practice really well, it works in a practical way for our business. It is an application that has served our workers very well, as well as our company because it has functions that go hand in hand with our work dedication. We have always wanted to suggest that some of the characteristics of the program improve because sometimes they show us failures that hinder our way of working. Their failures but still these are not an extreme annoyance, they are common faults that another program would have, so we do not discard this application and also, we recommend it for everyone.